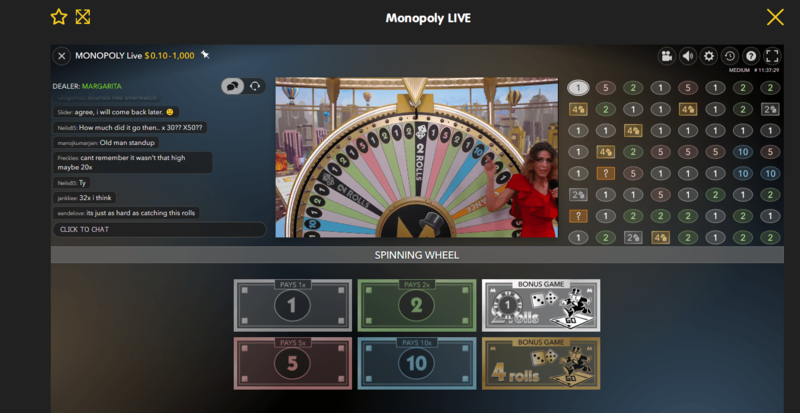 24K Casino is now hosting the highly acclaimed new Live Casino game titled Monopoly Live: Dream Catcher Edition. Casino patrons interested in playing the game qualify for a welcome bonus valued at 100% up to €/BTC300 (terms and conditions apply). Registering an account is easy! All you need to do is fill in an online form that requests your personal details, once done the playing field is yours. 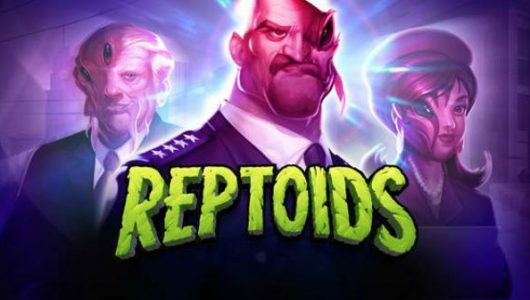 The deposit bonus offered by 24K Casino is a great way to boost your bankroll and to play one the most hyped up live dealer casino games of 2019! Without further ado we played Monopoly Live: Dream Catcher Edition with $30 with Vanya the pretty live dealer at the helm of things. The high framerate graphics and the flexible design gives fans the latest and greatest live casino experience, not to mention the perks offered by a world-class gaming site like 24K Casino. Edition worked we upped the ante by doubling each bet and betting on the 2 Rolls and 4 Rolls respectively. Bear in mind you’ll have to fork out a bit more cash because they offer the biggest cash prizes. At an average bet of $1 the Wheel finally lands on the 2Rolls! Once the 2 Rolls Bonus Round is triggered the action takes place on a Monopoly Board. The dice will then be rolled, for example if the 2 dice yield the numbers 3 and 5, Mr. Monopoly will move 8 positions on the board. 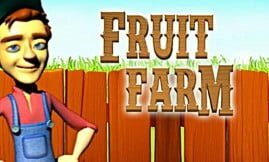 Each property offers its own distinct cash prize and multipliers that range from 3x to a gargantuan 150x, whatever you do just don’t end up in Jail! It goes without saying that the winning potential in the 4 Rolls can be astronomical, obviously a little luck will help too. With all those multipliers flying about to say that it’s an exciting bonus game is an understatement. We ended up with the number 6 (4 and 2), striking a multiplier of 3x and on our next roll the dice gave us a 4x multiplier. In the 2 Rolls Bonus Round we managed a win of $8 (8x our stake). The 2 Rolls bonus game gives you 2 rolls of the dice and the 4 Rolls awards you 4 rolls of the dice. Another important feature about Monopoly: Dream Catcher is that the 4 Rolls has a reasonably good strike rate on the Wheel. Just like the spins on a slot machine the game play is fun and exciting especially if the Wheel pitches on the 4 Rolls slot. 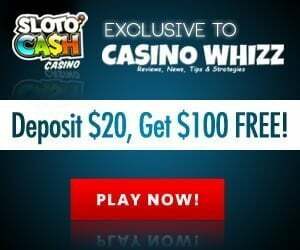 The 10x multiplier is equally good but the main attraction of the game are those bonus rounds offering wins up to tens of thousands of dollars. We’re not saying that you should focus only on the 4 Rolls Bonus, well if you’re chasing the big wins then fair enough. 1. 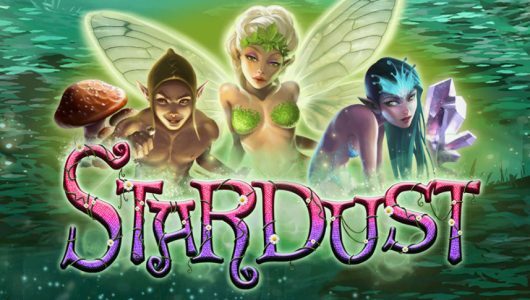 Use the deposit bonus 24K Casino offers to first time depositors. It gives your bankroll a nice shot in the arm. 2. Start off with small deposits to see which numbers the marker on the Wheel stops frequently. If you’re shooting for the 2Rolls and 4 Rolls Bonus Rounds, skip a few round because the Wheel stops on them on every 5 – 15 minutes, maybe more. 3. Read the player comments sometimes valuable information about the game can be gained there. 4. Always place your bets within the confines of your bankroll. 5. If you hit the 4 Rolls and you score a huge win cash out and play another game. With a score of online casino games being released every year it’s virtually impossible to play them all. We did make an exception to play Monopoly Live: Dream Catcher Edition and we’re glad we did. Playing a live dealer game places a new spin on things especially when you play it at a quality site like 24K Casino. 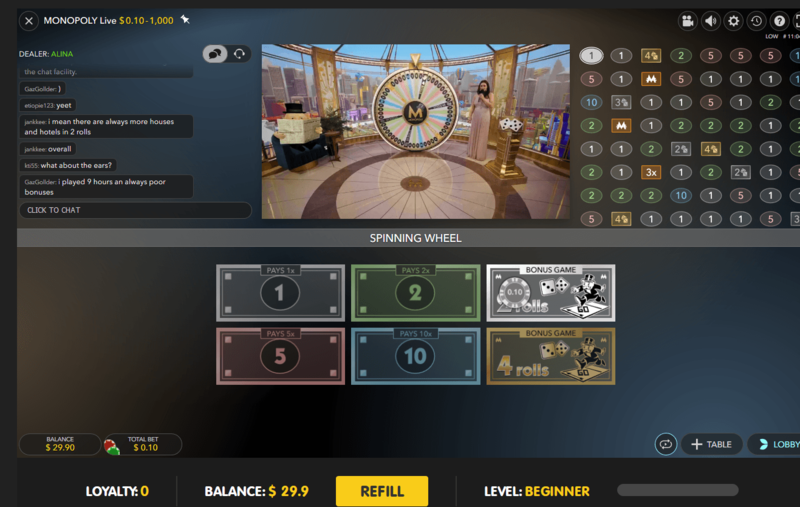 The good news is that you don’t need to place a bet on every spin of the Wheel and the game allows you to formulate your own strategy at your own pace!